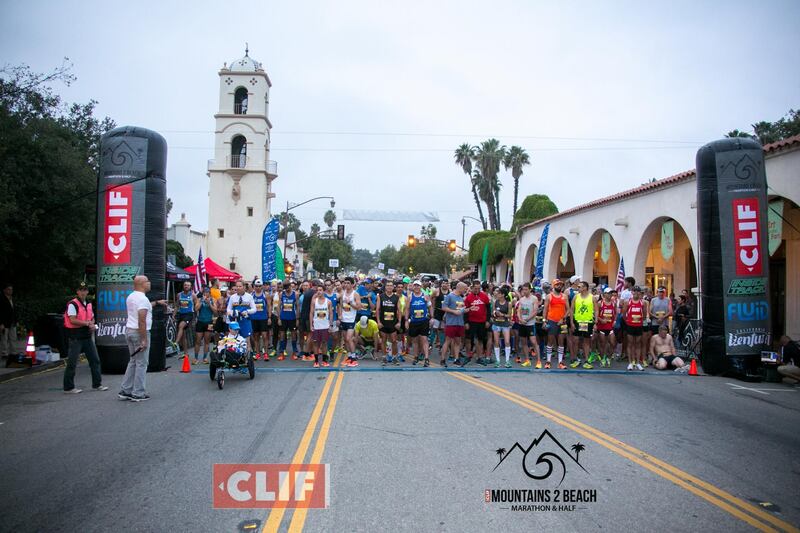 On May 29, 2016, we participated our Mountain To Beach Race in Venture, CA. This was a fast race and most of us tried to use this race for Boston Qualified. Jay and CQ were BQ and Lucia’s new PR and I finished as expected (3:43:40). 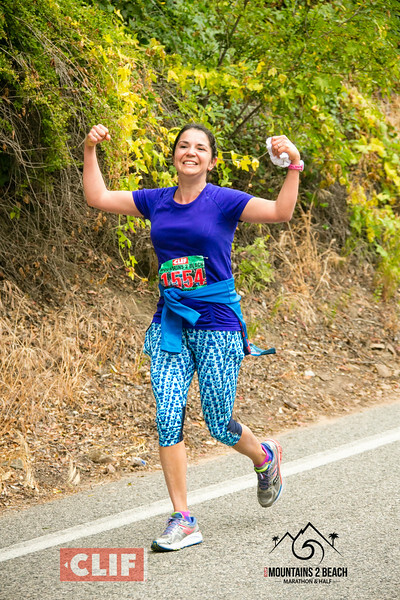 This was a hard race for me because the event organizer changed their course since 2014 and it had more flat and inclined miles start mile 14 to mile 20. Then, mile 20 to mile 25 were also inclined miles. They also moved the finish line toward Fair Grounds parking lot which made more difficult for me tried to finish the last mile. 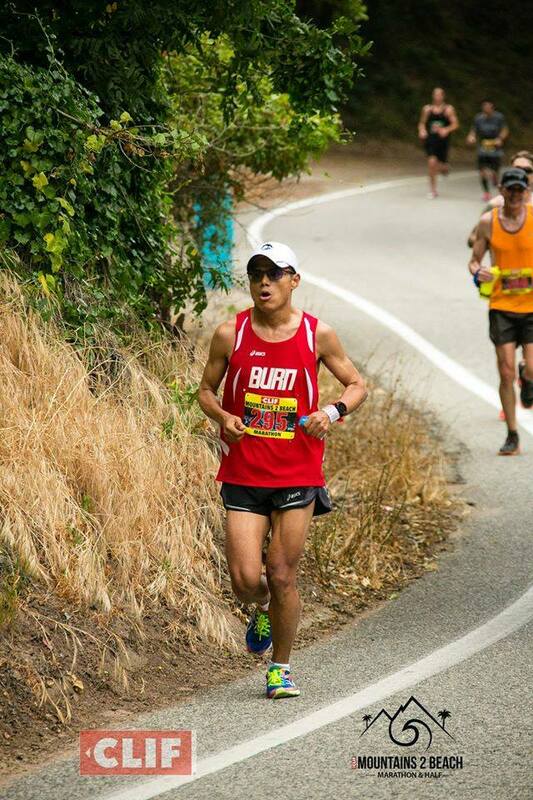 If you plan to use this race for BQ, you need to train on inclined miles, heat, and don’t expect a lot of down hills after mile 14 as they claimed. There was one good thing this year. 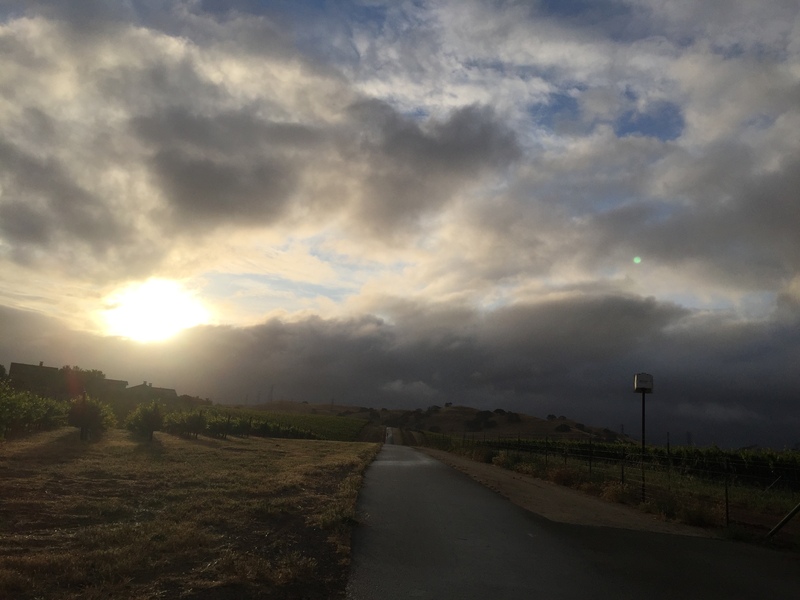 It was a perfect overcast & cool running weather. Normally, you would expect heat. 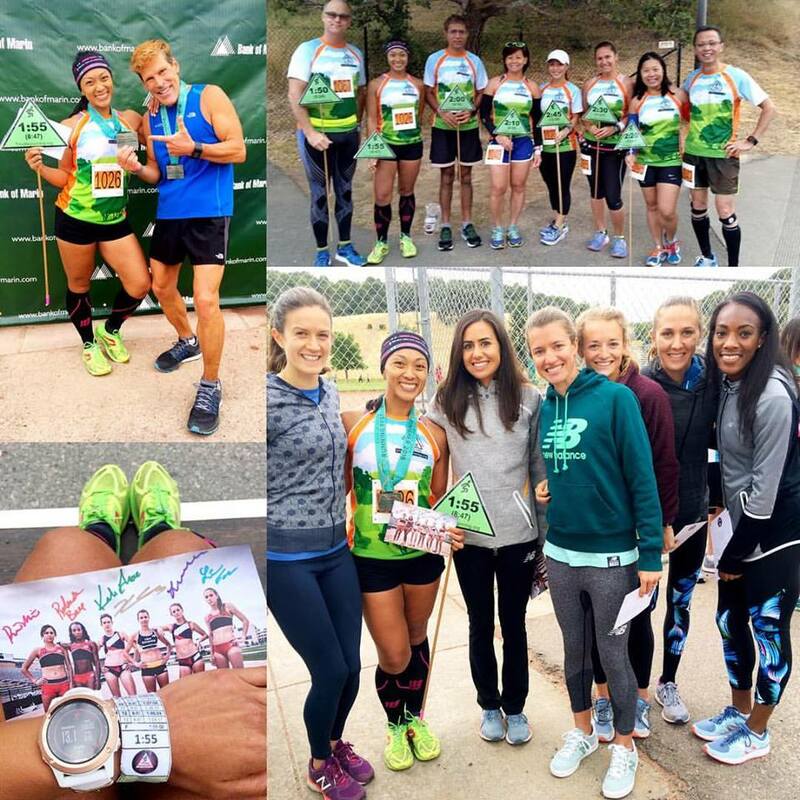 On May 28, 2016, we had our week 4 half marathon training group run event. Weather was sunshine condition. 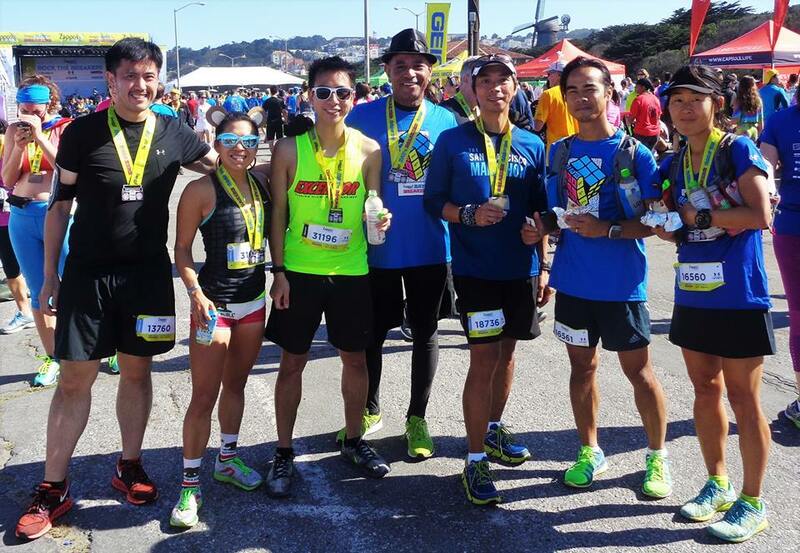 9 of our runners came out and got their 5-miler done. 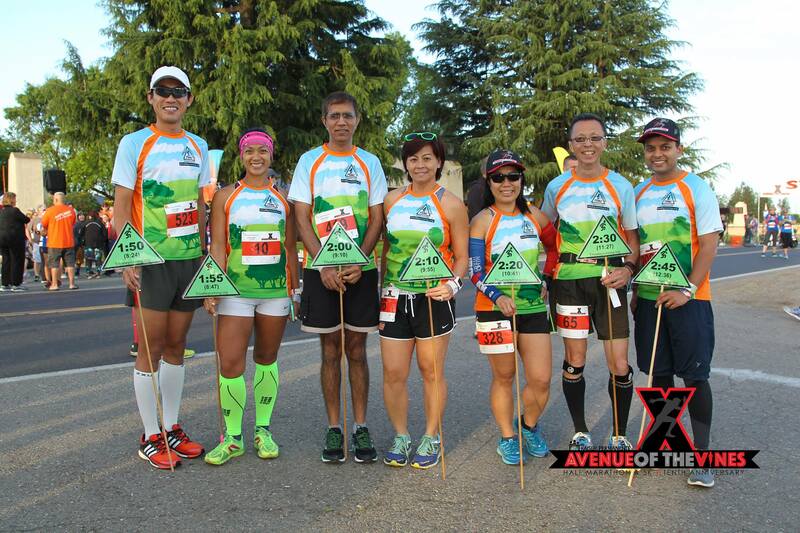 We had few new runners joined us this event. 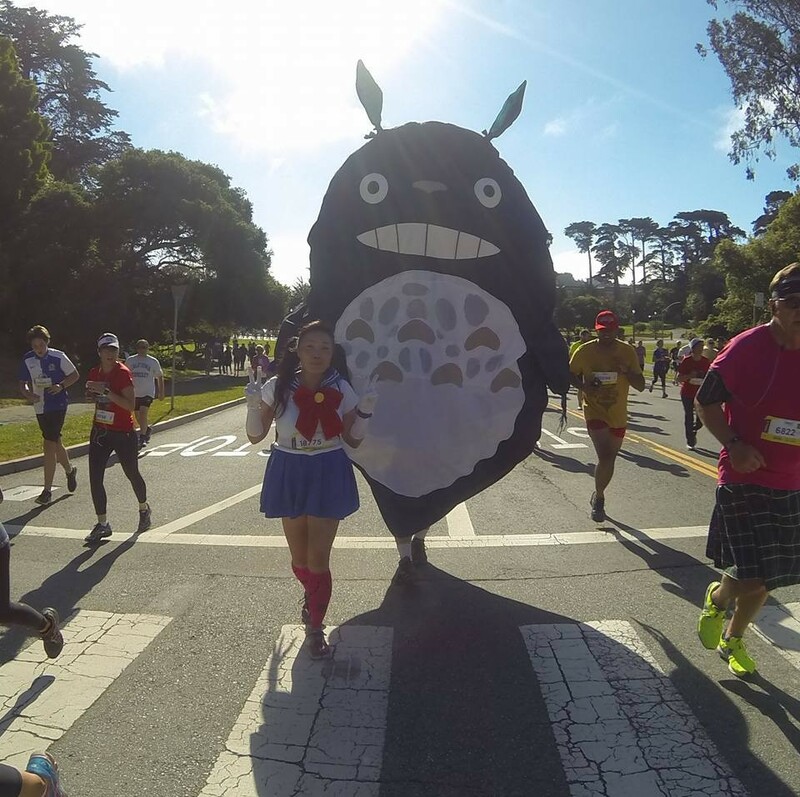 It is never too late to join our group run. It is FREE and come join us! Thank You to Mamma Chia (Joann Van N.), smartypantsvitamins.com (Andrew K.), SunRype USA (Marcia D.), and Robert Lee, our group runner, donated Cliff Bars, and Kiyoko’s recycle foil wrapper for their supports! Happy running! 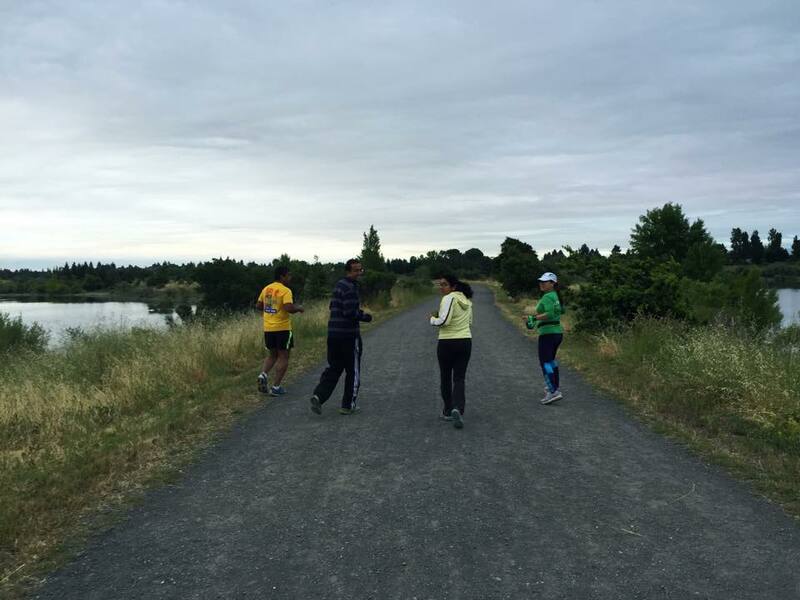 On May 25, 2016, we had our Wednesday Morning Track ‘Tempo’ Workout. We did 12 minutes Tempo runs (2×12). 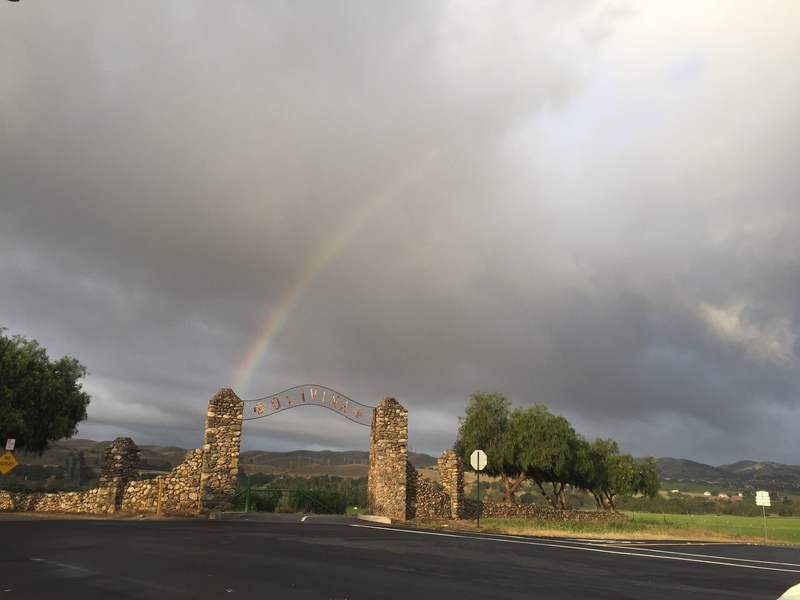 It was overcast and cool weather. 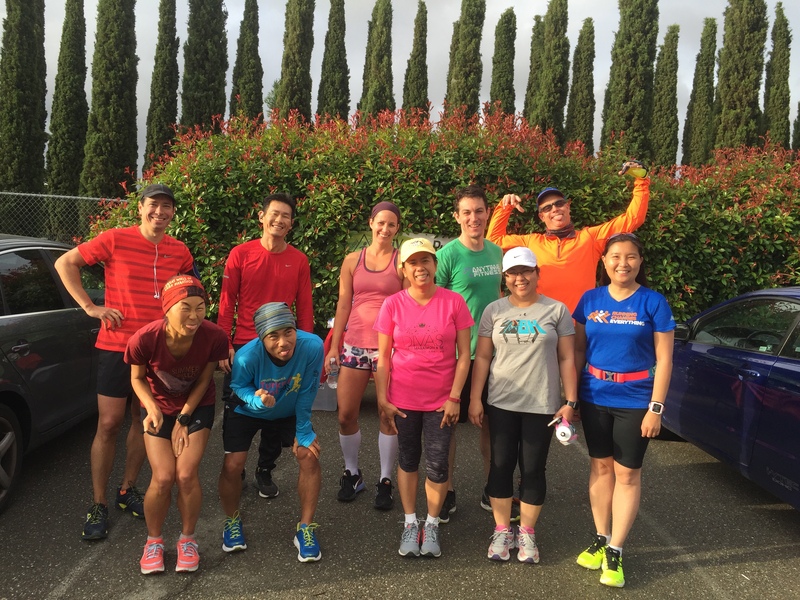 A perfect running condition to do our Tempo workout before the weather get hot in Trivalley area. 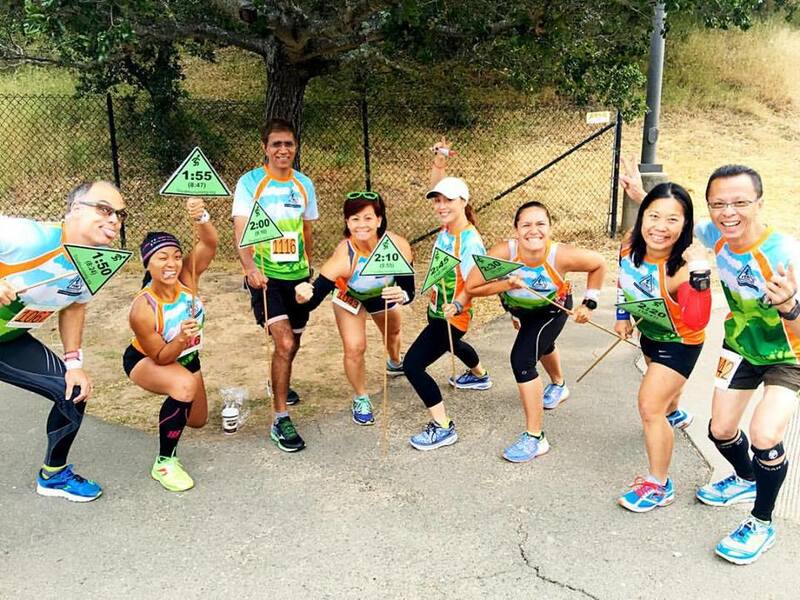 It is never too late to join our group run. It is FREE and come join us! 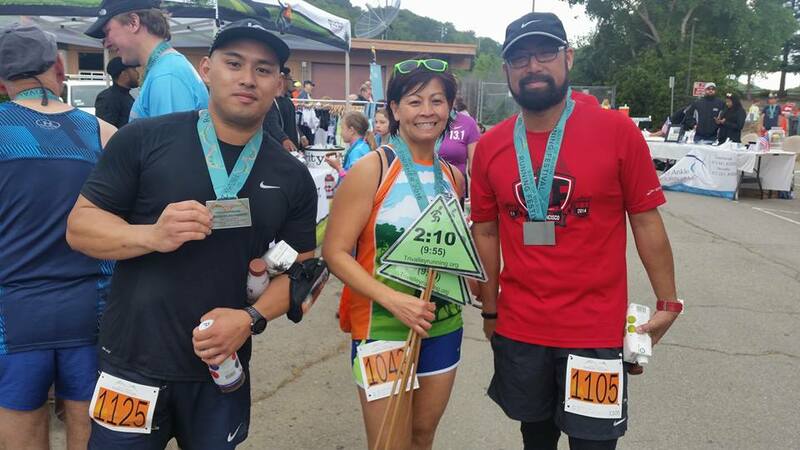 On May 22, 2016, we had an opportunity to pace the Inaugural Bank Of Marin Running Festival event in Novato, CA. It was sunny but cool weather. 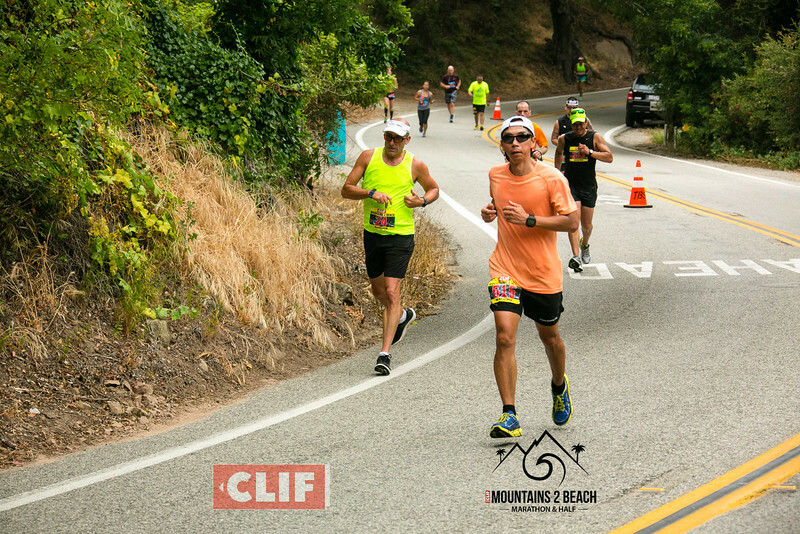 The course had some hills and a change to run with Dean Karnazes! Our pacers paced 1:50 to 2:45 (H:MM) finish times. 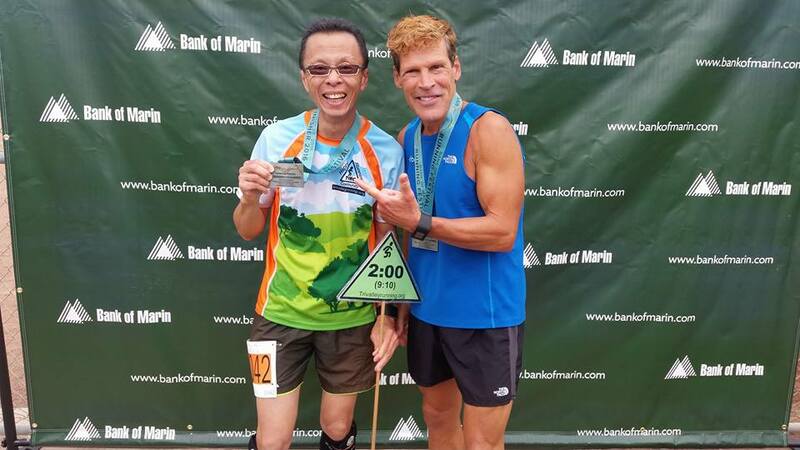 Thank you Peter Chan for coordinating this event and thank you to Titanium Racing for hosting the Bank Of Marin Running Festival and gave our group the pacing opportunity to support your organization and gave back to the running community. Happy running everyone! 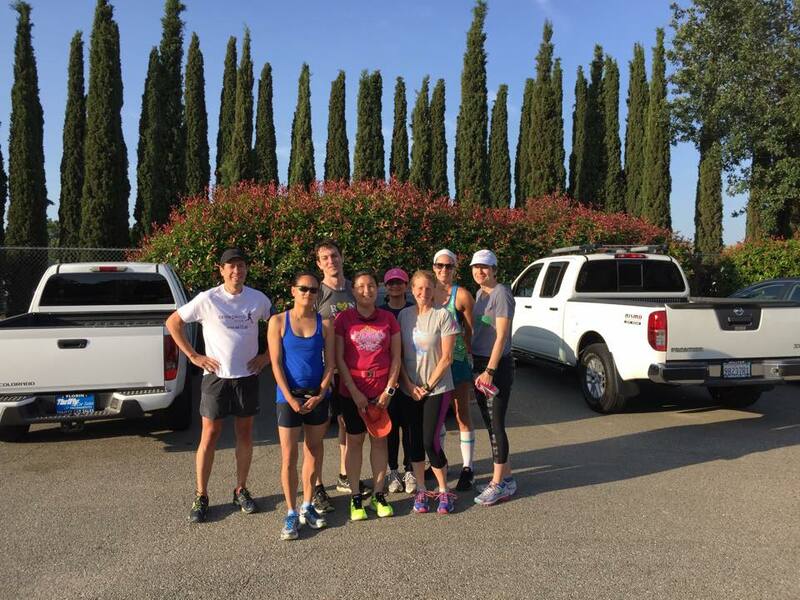 On May 21, 2016, we had our week 3 half marathon training group run event. Weather was overcast and a peak of sunshine but cool & misty condition. 11 of our runners came out and got their 5-miler done. 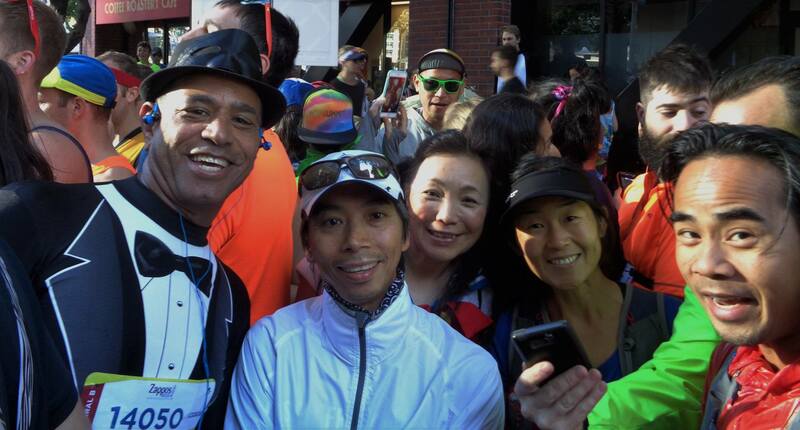 Few of us went to Starbucks for post run social gathering! 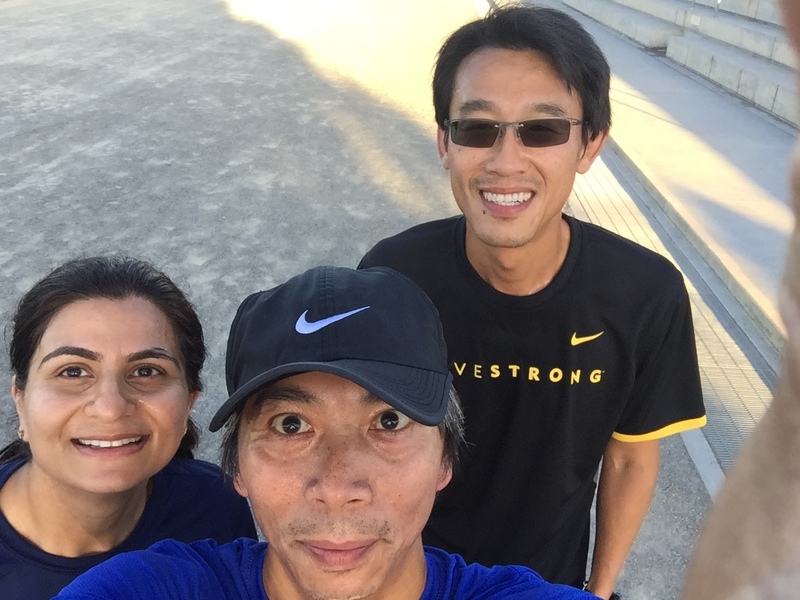 It is never too late to join our group run. It is FREE and come join us! Thank You to Mamma Chia (Joann Van N.), smartypantsvitamins.com (Andrew K.), SunRype USA (Marcia D.), and Robert Lee, our group runner, donated Cliff Bars, and Kiyoko’s recycle foil wrapper for their supports! Happy running! On May 18, 2016, we kicked off our Wednesday Morning Track ‘Tempo’ Workout. 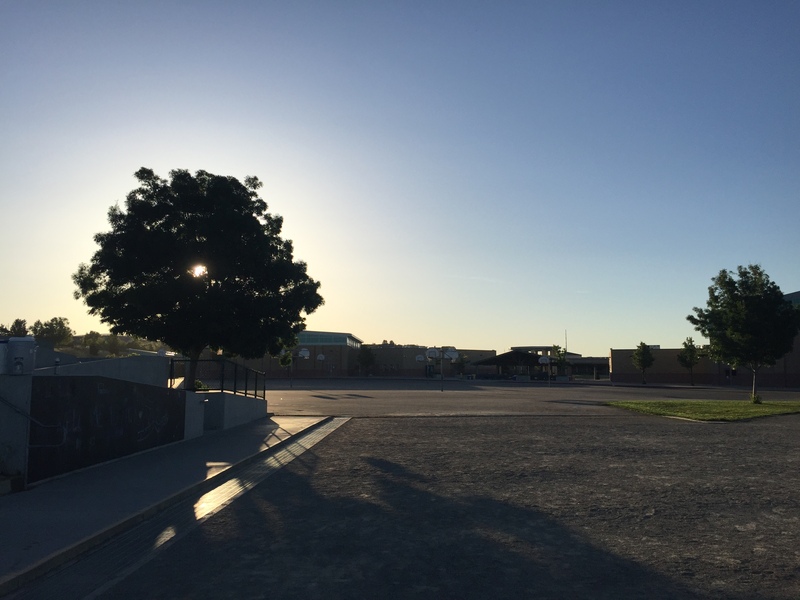 With the early morning sunlight and cool weather, it was a perfect condition to do our Tempo workout before the weather get hot in Trivalley area. 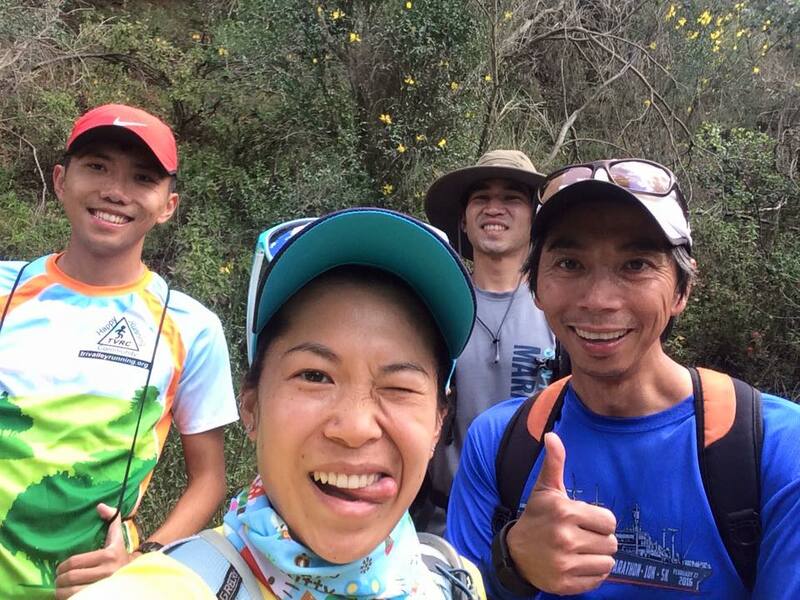 It is never too late to join our group run. It is FREE and come join us! 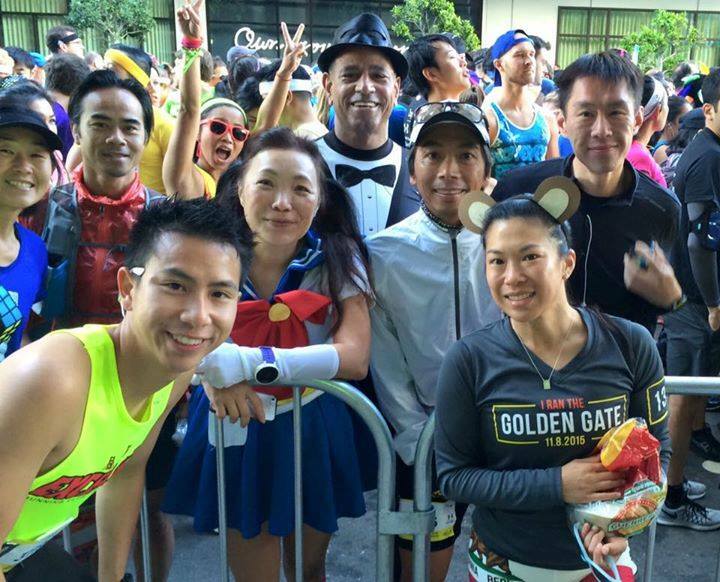 On May 15, 2016, we participated our annual Bay To Breakers race. 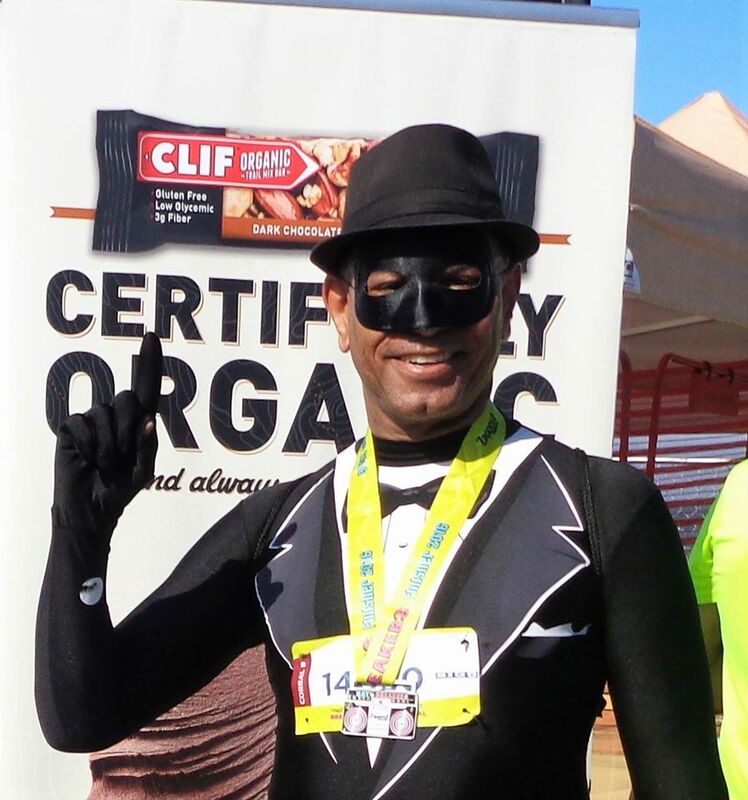 We loved to run this event because it was well organized, great sponsors, and fun to dress-up or not for us. Happy Running! 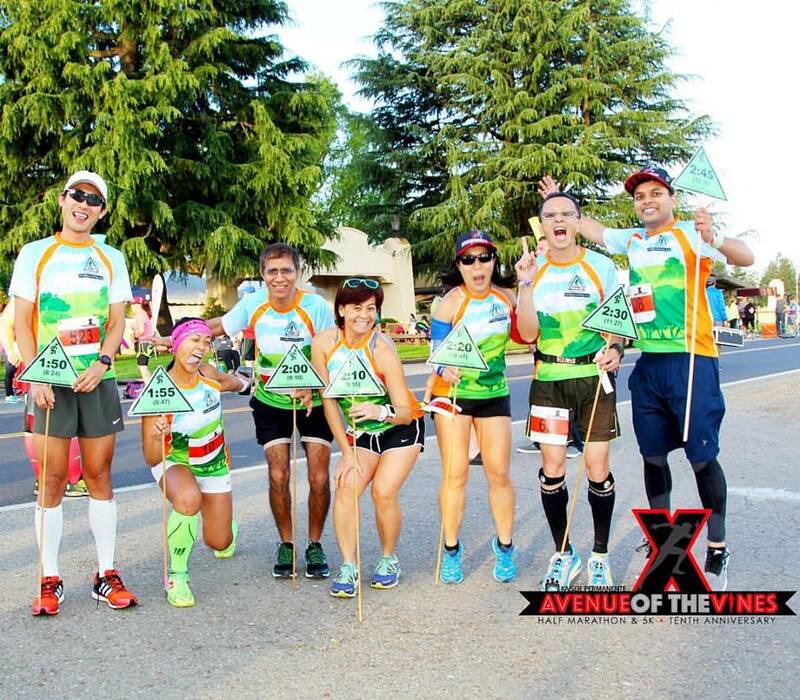 On May 15, 2016, we had an opportunity to pace the fleetfeetstockton – Avenue Of The Vines event in Acampo, CA. 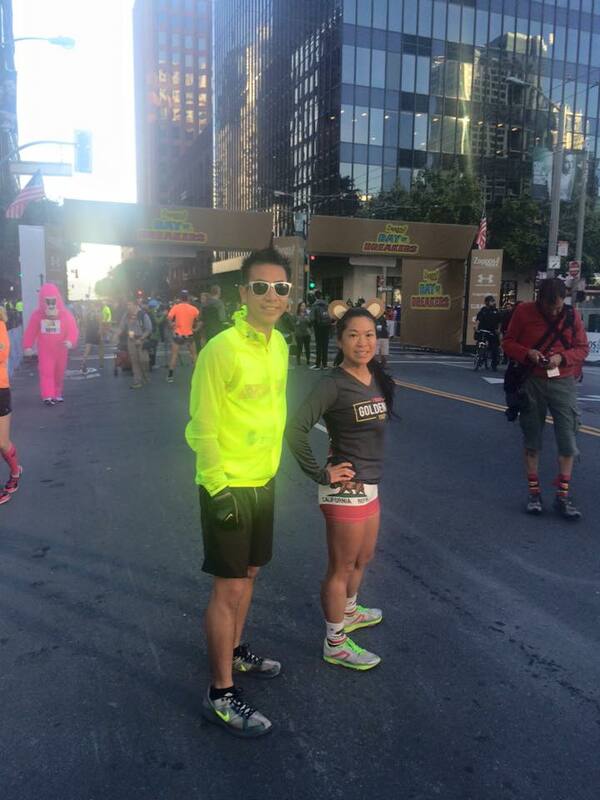 It was sunny but cool weather and was flat course to pace. 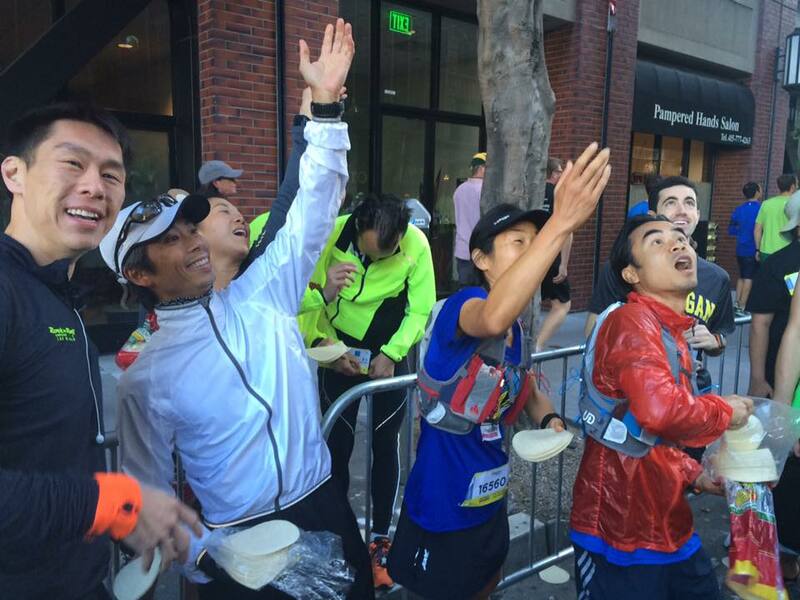 Our pacers paced 1:50 to 2:45 (H:MM) finish times. 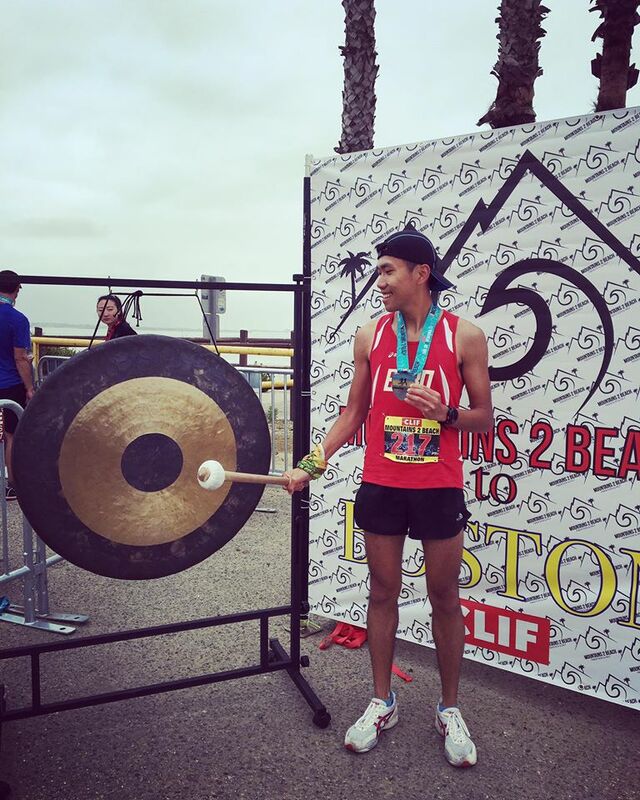 Thank you Peter Chan for coordinating this event and thank you Fleet Feet Stockton for the pacing opportunity to support your organization and gave back to the running community. Happy running everyone! 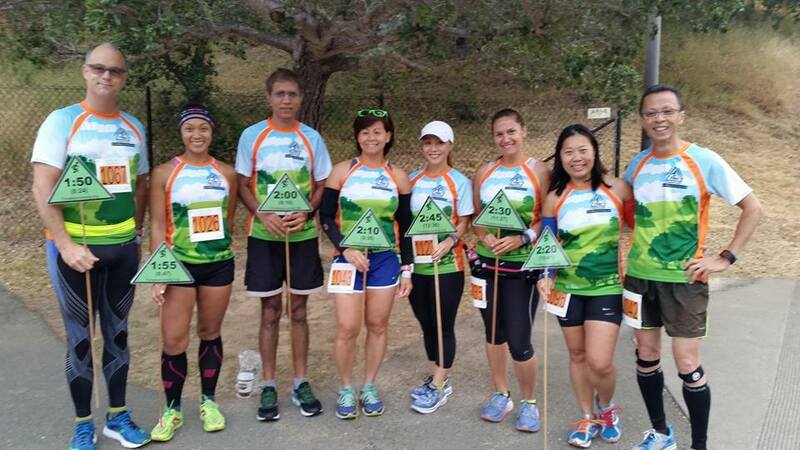 On May 14, 2016, few of Trivalley Running Club and I volunteered for Quicksilver 100K & 50K at Almaden Quicksilver Park, in San Jose, CA. 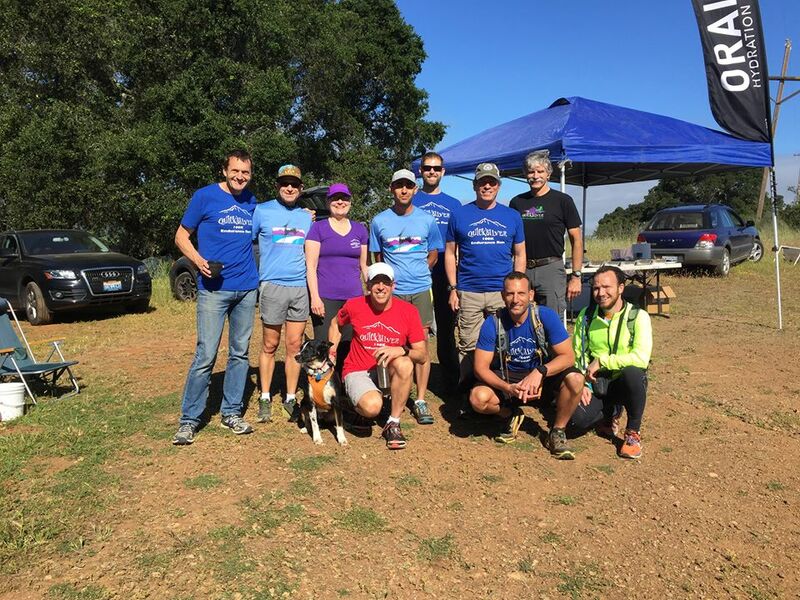 We hiked 2.6 miles from Hacienda staging area Almaden Quicksilver Park to Bull Run AID Station. 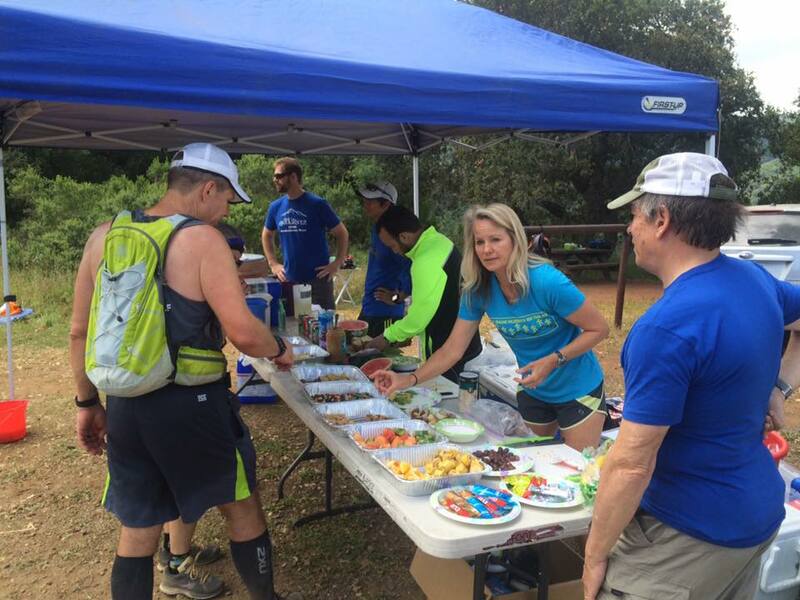 Then, we volunteered at Bull Run Aid station and provided water and food to runners. Thank you Michele Sun for coordinating with event organizer. It was great to give back to our local community. 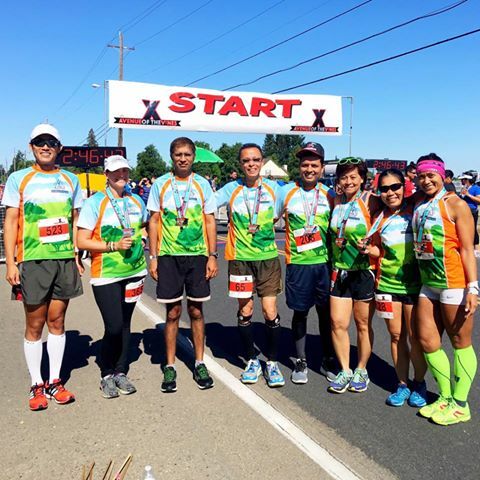 On May 14, 2016, we kicked off our Fremont morning group run event for runners live near Isherwood Stage Area in Fremont, CA. Weather was sunny but cool condition. 6 of our runners came out and got their run done. 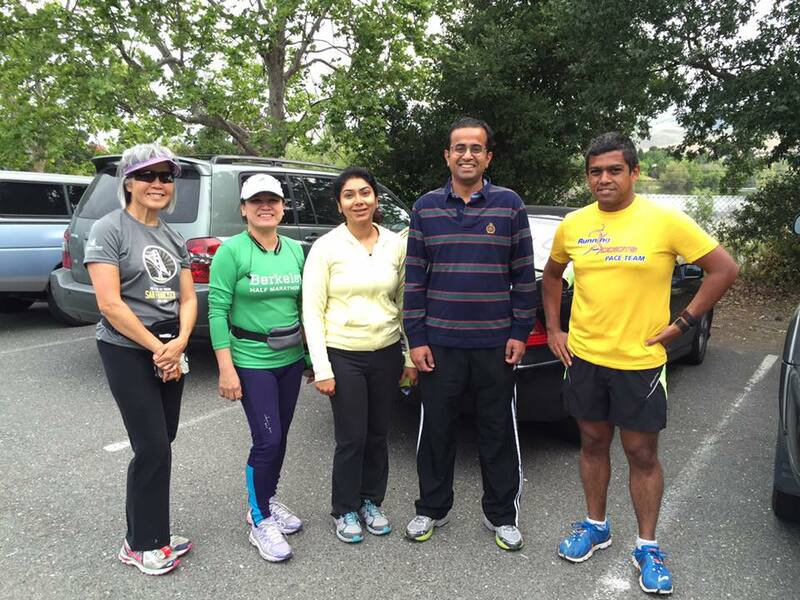 Sonia, 3rd from left, just joined our group recently and already donated her time to host group run. Thank you Arnel for the photos. 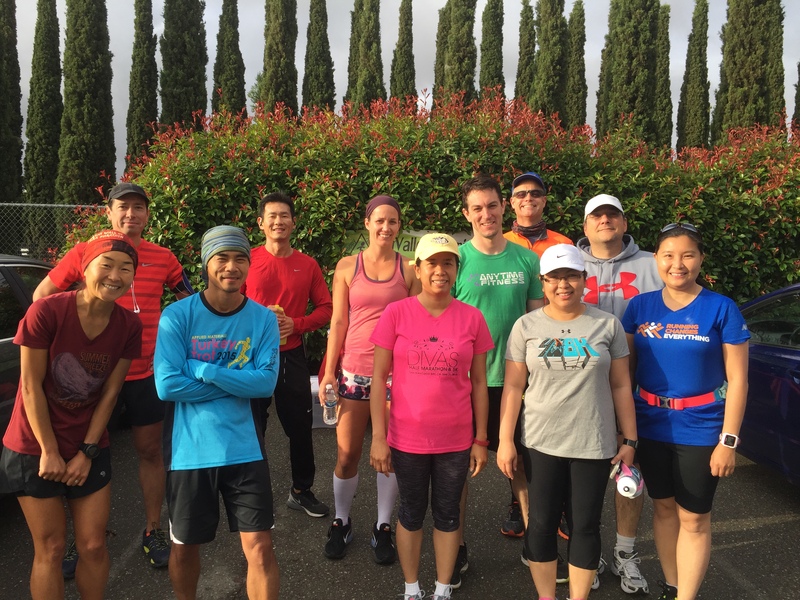 It is never too late to join our group run. It is FREE and come join us! Thank you Sonia! Happy running!